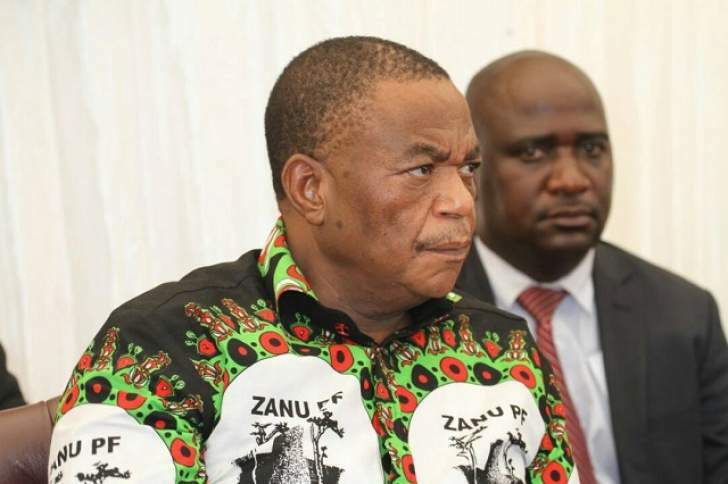 Operation Restore Legacy, which reached tipping point with a nationwide march on November 18 last year and paved way for the new political dispensation in Zimbabwe, will be concluded by voting for President Mnangagwa on July 30, Vice President Constantino Chiwenga said yesterday. VP Chiwenga encouraged people to vote for President Mnangagwa's lieutenants in Senate, the National Assembly and local authorities. Addressing thousands of Zanu-PF supporters at a rally in Mabvuku-Tafara Constituency to drum up support for the ruling party ahead of the elections, VP Chiwenga, who was accompanied by his wife Marry, described the nationwide solidarity march against the previous administration as "the first step" towards total independence of the Zimbabwean people. He said Zimbabweans should further come out in their numbers come July 30 to vote for the ruling party, bringing Operation Restore Legacy to an end. "Today, we want to remind each other that following events that took place in November under Operation Restore Legacy which saw the coming in of the new dispensation, the other leg is still hanging in the air," said VP Chiwenga. "You came out in your numbers on November 18 demonstrating in peace and today we are saying in the same spirit, let's rally behind President Mnangagwa and all Zanu-PF candidates vying for local authorities, Upper and Lower House of Assembly seats come July 30 so that we conclude Operation Restore Legacy." VP Chiwenga likened President Mnangagwa to the biblical Joshua who led Israelites into Canaan, saying Zanu-PF with his leadership was poised for economic prosperity. He called for unity among all Zimbabweans, as exhibited in the November 18 solidarity march, to rebuild Zimbabwe. VP Chiwenga said rebuilding the country would be achievable by shunning corruption. "In line with the Zanu-PF manifesto, let us all unite to build our nation and this is only possible through shunning corruption at all levels," he said. "Corruption does not only happen in Government, but at different levels of society." VP Chiwenga said the Zanu-PF Government was working on bringing total independence and national development through various programmes. He said some suburbs such as Mabvuku and Tafara were left underdeveloped for many years by MDC-dominated local authorities, thereby limiting access to social services for residents. He said roads, infrastructure, water supplies and sewer reticulation had all been run down. "These are the things that MDC-led local authorities have failed to address over the years," said VP Chiwenga. "Together with their Members of Parliament, they have not done anything for the period they have been in Mabvuku. "This is why we took it upon ourselves as Zanu-PF to rehabilitate all the roads that you have seen being worked on. It is not the local authority, but Zanu-PF Government through the Ministry of Transport and Infrastructure Development." VP Chiwenga said Government was also working on improving people's accommodation by constructing high rise buildings, an initiative that will save on land use while accommodating many people. He said they were also looking forward to empowerment programmes for youths, as well as making vending markets for those in the informal sector conducive and organised. VP Chiwenga reiterated that Government was working on financial reforms to address cash shortages, which are aimed at promoting plastic money, while working on the reintroduction of the local currency. He said Zimbabwe was endowed with many natural resources, which will also go a long way in pursuing the country's economic growth. "These are issues that cannot be solved today or tomorrow, but a process," said VP Chiwenga. Zanu-PF deputy national commissar Omega Hungwe, Politburo members Prisca Mupfumira and Cleveria Chizema, Harare Provincial Minister of State Miriam Chikukwa, Finance deputy Minister Terence Mukupe and Zanu-PF candidate for Mabvuku-Tafara constituency Godwills Masimirembwa were some of the dignitaries at the rally. Masimirembwa will square off against 13 other parliamentary candidates, including two from MDC Alliance - Mr James Maridadi and Mr James Chidhakwa - as well as MDC-T candidate Mr Joseph Chikwanha come July 30.